The company began when a handful of long-time friends, who had years of experience in the field of network marketing, gathered together and said, “Let’s create a network where people value relationships more than money, where each member is treated like family, where hard work is compensated equally at all levels, and where every individual who joins is significant to the whole family. Hence the birth of It is not just another business. It’s not just about wealth, it’s about people! We wanted to have a spirit of camaraderie, enjoying one another while doing business! 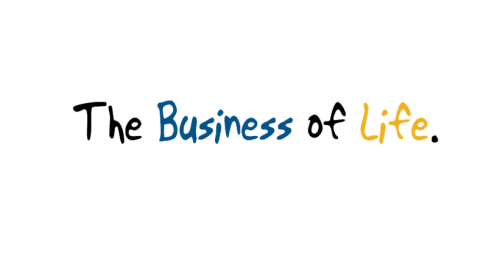 The Business of Life! We welcome you to our world, our family! Everything rises and falls on leadership, whether it be a company, a family, or any other institution. We believe in developing leaders to their full potential in skills and in their character. The most important trait that is vital to success is integrity. Integrity is simply being one in speech and action. We believe in working hard on integrity on a daily basis. We strive to make Bizzoe a “family” and not just a “network” of people – one that genuinely cares for one another, pulling each other up to become successful! In doing so, we believe everyone will prosper. Excellence is not about being perfect or expensive; it is about being better than who you were yesterday! It is about starting with little and being a good steward of what we have and making the most of it! To provide people a global business that they would be proud to own by developing, training, coaching and mentoring leaders, And by providing excellent products and services that will benefit families and the community. BizZoe stands for “Biz” which means business and “Zoe” which is a Greek word that denotes “Life”. Hence, the “Business of Life”. As the name implies, we want to help people not just become wealthy but prosperous in every area of life. BizZoe‘s products and services are of the highest quality, making them available to its partners and distributors. It is committed and loyal to its suppliers, manufacturers, and shippers, which ensure quality products and services to its end consumers. All our suppliers have strict quality control processing procedures ensuring safe and reliable products at all times. Our manufacturing process and facility are compliant with Good Manufacturing Practice (GMP), Good Laboratory Practice (GLP) and Good Agricultural Practice (GAP). An assorted array of products will be available in the future.